Are you looking for the exact information about the A Unit Admission? No more hassle. We’re here to elaborate you the total admission process for A unite in proper way. Rajshahi University Admission test for 2018-19 has been announced on Monday. You are able to get all the information about the admission from admission.ru.ac.bd and also from our website. The admission committee of the University decide to publish the Admission Test circular 2018-19. They called applications from interested students for the academic year 2018-19. RU Admission Test circular 2018-19 is quite clear and has included few new conditions for the students. According to the new rules the students can not apply or sit for the Admission test 2018-19 exam for second time. Vice-chancellor of RU Professor Md. Mizanuddin is also strict with this decision. So, students who thought that they could get chance for attending the admission exam for second time are not possible. A unit is based on the faculty of arts. A Unit Admission Circular also publish with the whole admission notice of Rajshahi University Admission Circular 2018-19. A Unit is the largest unit of all units of the RU. A Unit has also the highest number of seats. In this article you will be awere of the process and system of the RU A Unit Admission. Hope this article will help you for further instruction of the admission in RU. To apply in RU you have to maintain minimum CGPA of 3.50 both in SSC and HSC from science group (Without 4th subject). With 4th subject you have to have minimum CGPA of 8.00 both in SSC and HSC. Similarly, from Arts group 3.00 (without 4th subject) and 7.00 (with 4th subject) and also CGPA 3.50 (without 4th subject) from commerce group, CGPA 7.50 with 4th subject. The admission type of A unit is basically MCQ. Yes, you have to face the multiple choice questions in the exam. There will be different amount of questions based on subjects. You may also face practical exam varied on subjects. In department of music and theater you have to face a practical exam. In English department you have to face a written exam of 50 marks, if you pass in the exam. Pass marks of written exam are 20. All the candidates have to face the MCQ exams. The marks of the MCQ is different for different subjects. Total marks are 100 for each departments exam. Pass marks are 30. There will be 30 marks from Bangla, 30 from English and 40 from general knowledge. If you apply for the department of theater and music, you have to sit for a practical exam of 100 marks. A unit question pattern is almost same to the marks distribution of A unit. You have to answer the MCQ type questions in the exam. Questions are quite different as usually seen. You have to read all the questions vary attentively. Remember, most of the time you have to answer the question technically than you memorize. You can also read out the question bank for deeper knowledge about the question pattern for all university admission. The total seats of A Unit are 941. Every year thousands of meritorious students fight for this 941 seats. In every year the university authority increases the seats according to their accommodation and facility. That is why this number of seats can be change. The application fees of A Unit are 825/- BDT. The process of A Unit application are same as other units. 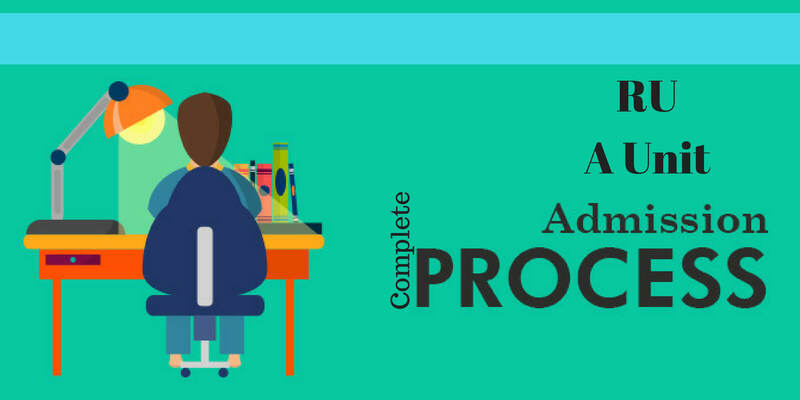 After publishing the admission circular, you need to apply online on the university portal. The address of the admission application is admission.ru.ac.bd or ru.ac.bd/. Being the whole system online you also have to apply online. The website will show the further instruction. To get the A unit admission test admit card you have to log in in the university portal. When you successfully complete your application the university will give you an applicant id and may be a password. You have to download the admit card before the exam from online. Without admit card you cannot sit for the exam. So be careful about your admit card before you entered the exam hall. If you want suggestion for A Unit Admission, I will say read out all of your academic books first. Don’t forget to study other writers book for the same subjects. Yes, it is need to study other writers book for better concept and preparation. On the other hand, you can also read out all the supplements like current affairs and general knowledge books. For IQ (Intellectual Questions), there are few books to practice. Study on the patterns of the IQ questions instead of memorize them. Transportation is also important for all the students to erase extra tension. To avoid extra pressure buy tickets about 4 days ago before the departure. 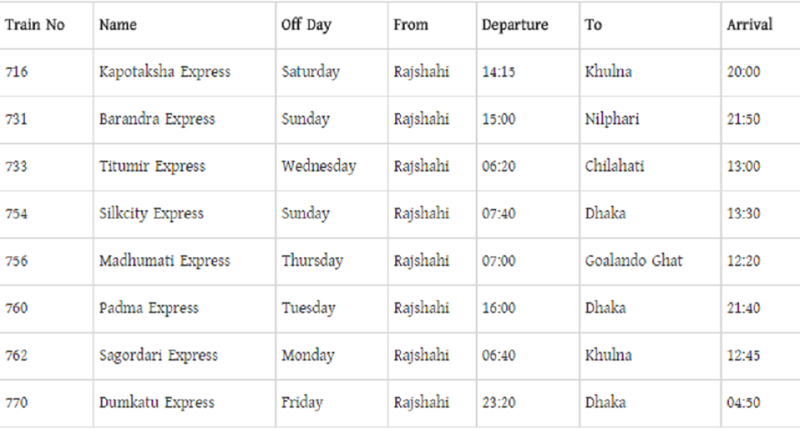 Here is the train schedule from all the division to Rajshahi bellow. This tricks also applicable for those who visit a place and lost her money. Main circular will publish instantly after the university declare it. Hi, This is Salimul. I Am The Moderator Of This Blog. Here I have written about the Campus Education, festival & Different event. Hopefully, my view will help you. Comment Policy:Your words are your own, so be nice and helpful if you can. Please, only use your real name and limit the number of links submitted in your comment. We accept clean XHTML in comments, but don't overdo it, please.Let's have a personal and meaningful discussion. How Game Of Thrones Changed Our TV Industry?